Awards action: As we head down the Oscar homestretch, every weekend brings more influential awards showsenabling us to read the Academy tea leaves. Last weekend delivered a double-barreled awards blast from two very big guns. The Directors Guild of America (DGA) crowned its winners Saturday at L.A.'s Hyatt Century Plaza while the British Academy (BAFTA) bestowed its honors Sunday at London's Royal Opera House. On the feature film directing front, the nominees for the 67th annual DGA Awards were: Wes Anderson ("The Grand Budapest Hotel"), Clint Eastwood ("American Sniper"), Alejandro G. Inarritu ("Birdman"), Richard Linklater ("Boyhood") and Morten Tyldum ("The Imitation Game"). In what was widely perceived as a race between Inarritu and Linklater, the award went to Inarritu, immediately boosting "Birdman's" prospects for a strong showing Feb. 22. It helps that "Birdman" has nine Oscar noms, including such key categories as picture, directing, actor, supporting actor, supporting actress, original screenplay, cinematography, sound mixing and sound editing. Missing, however, from that list is film editing, a nomination for which is generally regarded as necessary for a film to win best picture. "Boyhood," which is "Birdman's" principal competition in the best picture Oscar race, has six Academy noms, including picture, directing, supporting actor, supporting actress, original screenplay and film editing. Not only does "Boyhood" have a film editing nom, but it was named best edited dramatic feature at the American Cinema Editors' 65th annual ACE Eddie Awards in late January. In nine of the last 12 years, theACE winner has wound up winning the editing Oscar. Although "Boyhood's" three wins (best picture, director and supporting actress) at Sunday's BAFTA's are certainly good news for its team and potentially helpful, at this point it appears that "Birdman" has the advantage. It isOscar's front-runner, fueled by its DGA victory as well as by such other prime wins as the Screen Actors Guild's (SAG) ensemble cast award (the Guild's equivalent of a best picture win), the Producer's Guild of America (PGA) award and the Golden Globe for best picture – comedy or musical and for best director. 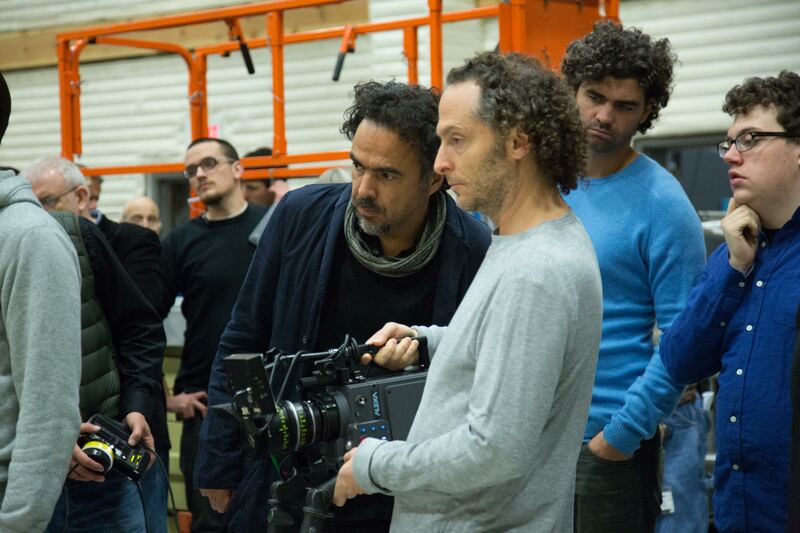 It augers well for Inarritu that only seven times over the previous 66 years has the DGA winner not gone on to win the best directing Oscar. Frequently, winning the directing Oscar goes hand in hand with a best picture Oscar victory. There are about 15,000 DGA members, including feature directors, television directors and unit production managers. The Academy's directing branch has approximately 377 members, all of whom are feature directors. The DGA membership is considerably younger and more diverse than the Academy branch. Looking back at 2014, Alfonso Curaron won the DGA award and the best directing Oscar for "Gravity,"but "12 Years a Slave"took home the best picture Oscar. In 2013, Ben Affleck won the DGA award for "Argo,"but wasn't even nominated by the Academy's directing branch. The best directing Oscar that year went to Ang Lee for "Life of Pi,"but "Argo" won the best picture Oscar. In 2012, the DGA award went to Michel Hazanavicius for "The Artist" and so did the best directing Oscar. The best picture Oscar also went to "Artist." 2011's DGA winner was Tom Hooper for "The King's Speech." Hooper went on to win the best directing Oscar and "Speech" won best picture. In 2010, Katherine Bigelow won the DGA award for "The Hurt Locker" and also won the best directing Oscar, making her the first woman ever to win for directing. "Hurt" was the best picture Oscar winner. Of this year's DGA nominees, only Eastwood didn't also get into the Oscar race and, therefore, he can't possibly win for directing Oscar night. That snub came as a major surprise since the Academy had previously given Eastwoodfour Oscars. "Sniper," however, is one of the Academy's eight best picture nominees, so if "Birdman" and "Boyhood" wind up canceling each other outas could happen in Oscar's complex preferential voting system, "Sniper" could be the film that pulls off a stunning upset victory. With its domestic cume through last weekend ata hefty $282.3 million and still playing at 3,885 theatres, "Sniper' is the only best picture contender that's attracted a big audience, something that's resonated in the past with Academy voters.It's also a film that's being talked about and is stirring emotions, which gives it an importance that Academy members have gone for in the past. So don't count "Sniper" out. It could still hit Oscar'sbest picture bullseyein a voting split where best directing goes to Inarritu or Linklater. Through last weekend, "Birdman" had grossed $35.2 million and was in 666 theatres, a good showing for a small specialized film. "Boyhood," which opened last July 11, is still playing in 55 theatres and has grossed $25.1 million to date, also very respectable for a small film. Another important factor to consider in terms of how Academy members may vote is Sunday's 68th annual BAFTA festivities in London. There's a crossover of about 500 members between the British Academy and the U.S. Academy (which has a total of about 6,100 members), so what the Brits applauded couldinfluence the Oscar outcome. For the most part, BAFTA jumped on the "Boyhood" bandwagon, putting the film and its directing and supporting actress winners in the global media spotlight. The BAFTA awards are telecast in the U.S. on the BBC America cable network, making them easily accessible to Academy members. Here's a look at some key BAFTAresults, including best picture, director, actor, actress, supporting actor and supporting actress. BEST PICTURE: BAFTA's best picture nominees were:"Birdman," "Boyhood," "Budapest," "Imitation" and "The Theory of Everything," all five of which are among Oscar's eight best picture noms. The BAFTA, presented by Tom Cruise, went to "Boyhood," putting it right back into Oscar's homestretch horserace after it had seemingly been knocked out of that race one night earlier by "Birdman's" DGA win. Since 2000, when the British Academy rescheduled the BAFTA's to take place while Oscar voting was still underway, there have been BAFTA-Oscar best picture match-ups on eight out of 13 occasions. The Oscar polls for final voting opened Feb. 6 and close Feb. 17. Now that many Academy members are voting online, more ballots are believed to be cast late in the process than was the case in the past when ballots were mostly mailed back. For the past six years, the two Academies have had identical best picture winners: "Slave" in 2014, "Argo" in 2013, "Artist" in 2012, "Speech" in 2011, "Hurt" in 2010 and "Slumdog Millionaire" in 2009. If Oscar lightning continues to strike the same way, "Boyhood" would benefit. BEST DIRECTOR: BAFTA's directing noms went to: Alejandro Inarritu for "Birdman," Richard Linklater for "Boyhood," Wes Anderson for "Budapest," James Marsh for "Theory" and Damien Chazelle for "Whiplash." Linklater's directing win for "Boyhood" was overshadowed by the DGA Award having gone the previous night to Inarritu for "Birdman." Unfortunately, Linklater chose to attend the DGA ceremonies Saturday in L.A. and wasn't in London Sunday. Ethan Hawke, who was a BAFTA supporting actor nominee for his performance in "Boyhood," accepted on Linklater's behalf. It's more likely that Oscar will reflect the DGA's vote than BAFTA's vote in this category. BEST ACTOR: BAFTA's lead actor nominees were: Benedict Cumberbatch for "Imitation," Eddie Redmayne for "Theory," Jake Gyllenhaal for "Nightcrawler," Michael Keaton for "Birdman" and Ralph Fiennes for "Budapest." The very popular Redmaynewas seen as the front-runner in this race for his critically acclaimed portrayal of the renown British physicist Stephen Hawking, so this win was very much anticipated. Hawking, himself, was at Sunday's ceremoniesto witness Redmayne's victory. 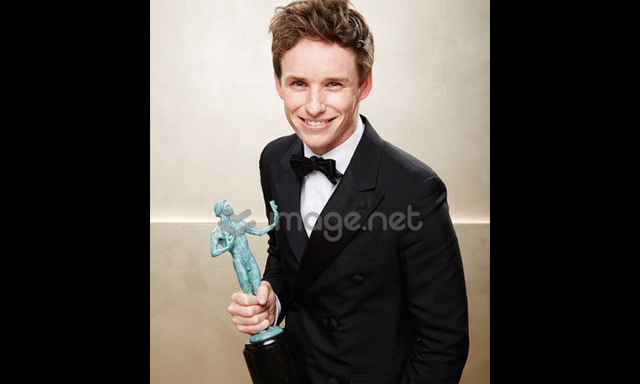 Redmayne has also won such prime honors as SAG's lead actor award and the best actor-drama Globe. With his BAFTA win Sunday, he's the presumptive Oscar winner. BEST ACTRESS: BAFTA's lead actress noms went to: Amy Adams for "Big Eyes," Felicity Jones for "Theory," Julianne Moore for "Still Alice," Reese Witherspoon for "Wild" and Rosamund Pike for "Gone Girl." Here, too, it was no surprise to see BAFTA bestow bestactress on Moore. She was the clear front-runner in this race, having already won SAG's lead actress award and the best actress-drama Globe. Moore goes into the Oscar homestretch as the presumptive winner. BEST SUPPORTING ACTOR: BAFTA's supporting actor nominees were: Edward Norton for "Birdman," Ethan Hawkes for "Boyhood," J.K. Simmons for "Whiplash," Mark Ruffalo for "Foxcatcher" and Steve Carell for "Foxcatcher." Simmons was widely expected to take home the supporting actor BAFTA and he did. He previously won SAG's supporting actor award and the supporting actor Globe. Simmons seems a safe bet to add an Oscar to his collection. BEST SUPPORTING ACTRESS: BAFTA's supporting actress noms went to: Emma Stone for "Birdman," Imelda Staunton for "Pride," Keira Knightley for "Imitation," Patricia Arquette for "Boyhood" and Rene Russo for "Nightcrawler." This race, too, was no nail-biter. Arquette was expected to prevail as she did. Her earlier wins included SAG's supporting actress award and the supporting actress Globe. She's widely expected to win the supporting actress Oscar. Bottom line:Despite the media's ongoing awardsfocus, another bigstory is also unfolding for Hollywood as the 2015 boxoffice continues to sizzle. Last weekend saw Paramount and Nickelodeon Movies' 3D animated comedy adventure "The SpongeBob Movie: Sponge Out of Water"open in first place to a summer-like $56 million. Driven by early winter hits like "SpongeBob," "Sniper" and "Taken 3,"the year to date is already running about 10.4 percent ahead of this time last year, according to the boxoffice data firm Rentrak. That's very good news given Hollywood's concerns over 2014'sless than hoped for ticket sales. The current momentum is expected to continue this weekend as two new wide releases that are both tracking strongly arrive to help moviegoers celebrate Valentine's Day and Presidents' Day. Universal and Focus Features' R rated romantic drama "Fifty Shades of Grey," opening at about 3,600 theatres, is directed by Sam Taylor-Johnson ("Nowhere Boy"). It's based on the worldwide best-selling novel by E L James, whose "Fifty Shades" trilogy has sold over 100 million copies. "Fifty" is tracking through the roof in double digits as an overall first choice. It's a must-see first choice for women both under and over 25. Starring as the book's now iconic lead characters are Dakota Johnson as journalist Anastasia Steele and Jamie Dornan as Christian Grey, the wealthy businessman of singular tastes with whom she becomes involved. The holiday weekend will also see the arrival of 20th Century Fox and Marv Films' R rated action adventure comedy "Kingsman: The Secret Service"at about 3,100 theatres. Directed by Matthew Vaughn ("X-Men: First Class"), it stars Colin Firth, Taron Egerton and Samuel L. Jackson. The spy story is also tracking in double digits. It's doing best with men under and over 25, making it the perfect male targeted movie to go up against the strongly female appeal "Fifty."